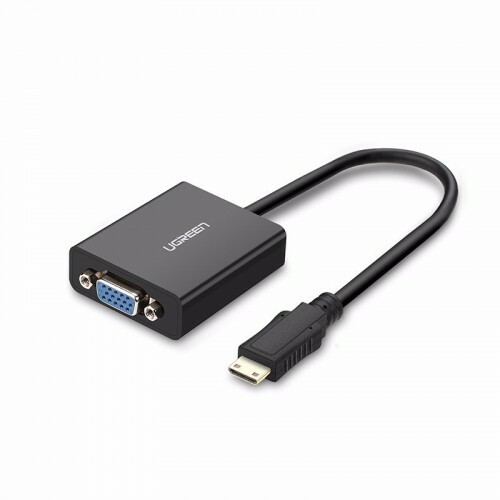 Mini HDMI to VGA with audio converter support video output in VGA: 1920*1080@60Hz(Max). VGA can only process Video signal, but this adapter additionally provids with a 3.5mm line-out jack. Let you connect this adapter to your TV or external speakers through a 3.5mm jack audio cable(sold separately).